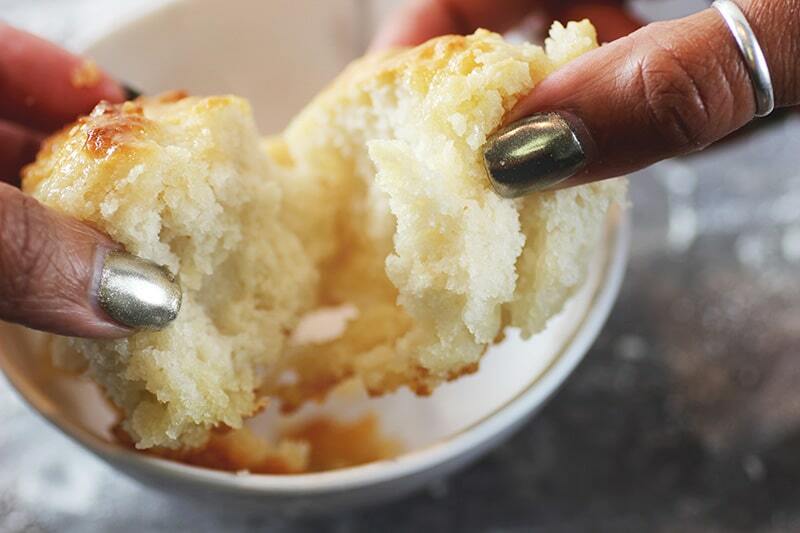 This honey butter biscuit recipe is the simplest, most easiest stab at homemade biscuits you are gonna find. I love a good biscuit, but these are beyond good. A sweet buttery biscuit – light, fluffy, and did I mention honey butter-y. 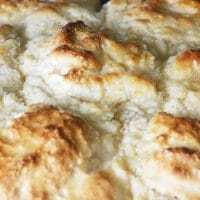 As I started learning how to make things in the scratch made variety, I tried several biscuit recipes. I have one that I loved, but I absolutely hated shredding the butter to get the buttery burst of flavor every biscuit deserves. And are you pretty good at pouring things? Well, that is all you need to know how to do in order to make these babies. 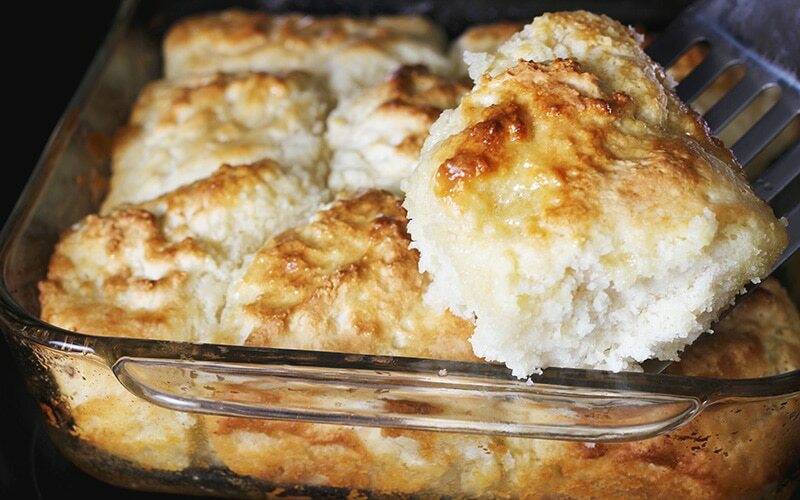 What Ingredients Do You Need For Honey Butter Biscuits? I am glad you asked. Most of these things, you probably have laying around. That is one of the reasons I love them so much. If all else fails, it’s biscuits for breakfast yall! The first thing you want to do to prepare for making your butter biscuits is to preheat the oven to 425 degrees Fahrenheit. And then gather all your ingredients. The butter needs to be melted. It can be done by putting the butter in the baking dish and placing it in the heated oven while it is warming up. Or you can put it in the microwave and transfer it to the baking dish. I have found that putting it in the oven can lead to a mess. Maybe because I typically keep my butter frozen and it takes a bit to thaw out. I have had it start popping in the oven and lead to the oven smoking. A similar thing can happen in the microwave as well, so do what works best for you. Mix the dry ingredients – flour, sugar, baking powder, and salt – in a medium bowl. And then whisk in one tablespoon of honey in with the milk. Then combine dry ingredients with milk mixture to form a sticky dough. I use an ice cream scooper to scoop the dough and place it in the baking dish next to each other on top of the butter, sides touching. This helps to separate the biscuits easily when they are done. I start in the center and then work my way around. Bake the biscuits in the oven for about 10 minutes, and then remove from the oven and brush tops with remaining honey, and any surrounding butter. Put the pan back in the oven and continue to bake for an additional 7-10 minutes. They are ready to come out when the tops are golden brown. Remove them from the oven and allow them to cool for a few minutes, and then you can simply break them apart. Savor all of the delicious buttery goodness my friends! 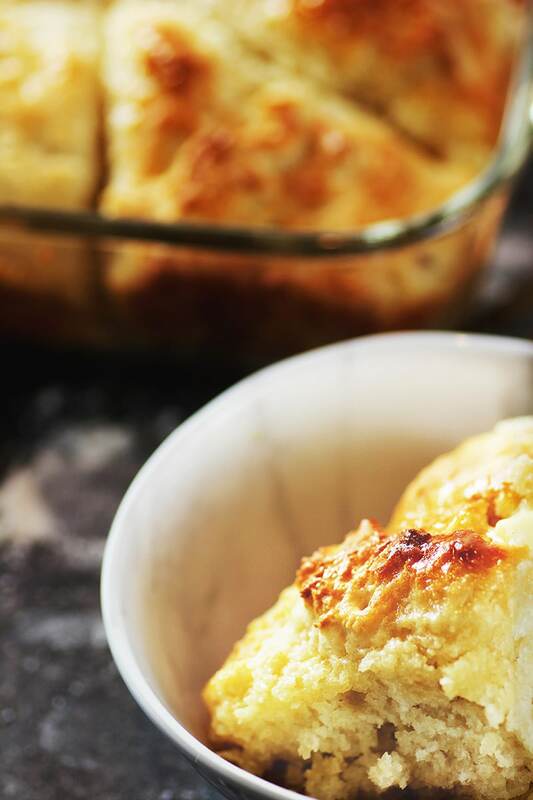 This honey butter biscuit recipe is the simplest, easiest stab at homemade biscuits ever that creates perfectly fluffy biscuits every single time. Melt butter. This can be done by putting the butter in the baking dish and placing in heated oven. Or in the microwave and transferring to baking dish. Mix dry ingredients - flour, sugar, baking powder, and salt in medium bowl. Whisk one tablespoon of honey in with the milk. 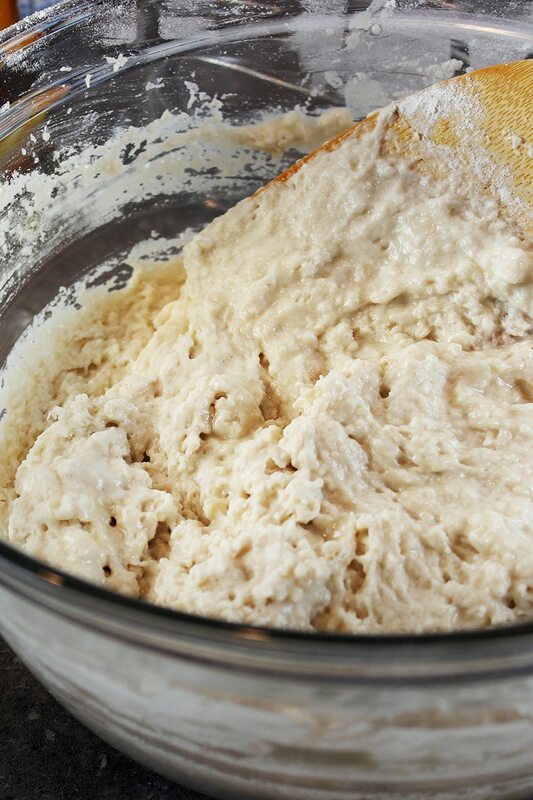 Combine dry ingredients with milk mixture to form a sticky dough. 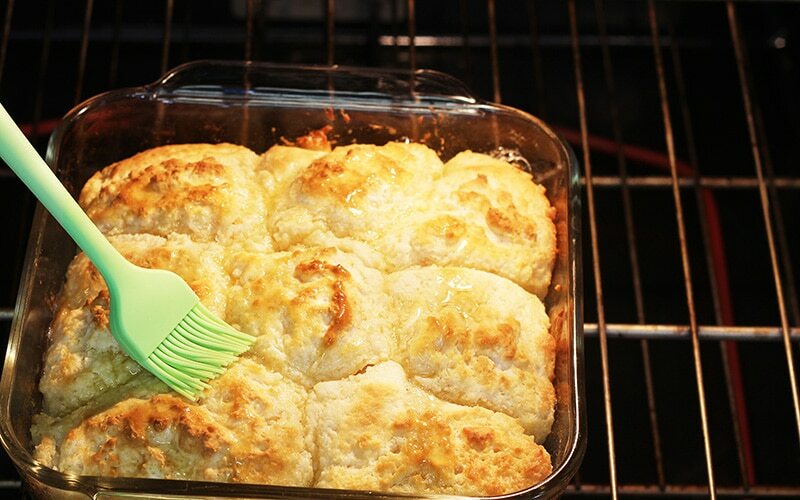 Using an ice cream scooper, scoop dough and place in baking dish next to each other, sides touching. Starting in the center and working way around. Remove from oven and brush tops with remaining honey, and any surrounding butter. Place in oven and continue to bake for additional 7-10 minutes. Until tops are golden brown. Remove and allow to cool for a few minutes. Interested in making this Honey Butter Biscuit Recipe later? Pin or share with friends using the buttons below. This is perfect! As much as I love biscuits, I hate trying to make them from scratch. Especially that shredding butter bit. I’m trying to make things as easy (and with less mess to clean) as possible. Now your recipe looks like something I can handle. And they look so buttery and delicious! Def pinning this to make later. Thanks for sharing, lady! I felt the sammmmme. Are super easy and quick. I haven’t shredded butter in forever…lol!